The list of charities and nonprofits that have canceled fundraising events at Mar-a-Lago continues to grow. At least 20 groups now have pulled out of galas that had been scheduled for President Trump's country club in Palm Beach, Fla. In announcing the cancellations, many of the groups cited the controversy surrounding Trump's recent comments that "both sides were to blame" for the violence that occurred during a white supremacists' rally in Charlottesville, Va. 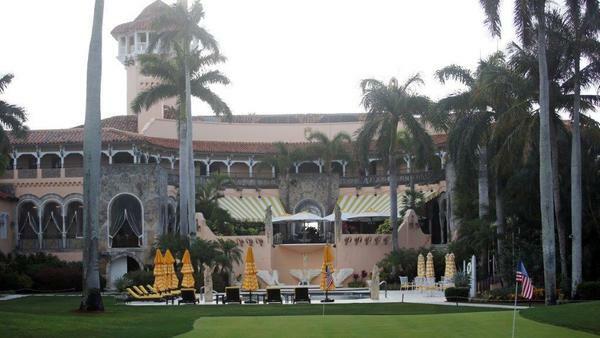 The withdrawals from Mar-a-Lago began last week when several well-known national charities, including the Cleveland Clinic, American Red Cross and Susan G. Komen, announced they would be finding new venues for their events. The Red Cross's statement reflected the typical reasons cited. It said it provides "assistance without discrimination to all people in need, regardless of nationality, race, religious beliefs, or political opinions." And because of that mission, its association with the president's country club "has increasingly become a source of controversy and pain for many of our volunteers, employees and supporters." This week, cancellations are still rolling in as more charities — both nationally known and local Palm Beach causes — turn away from the club. The Palm Beach Daily News, a newspaper that closely tracks the social calendar in the wealthy enclave, reports that the list includes the Palm Beach Zoo, the Preservation Foundation of Palm Beach and an important arts venue, the Kravis Center. It also includes a local animal welfare group, Big Dog Ranch Rescue. Its March luncheon will now be held at the group's facility, more than 15 miles from Palm Beach. Big Dog Ranch Rescue's decision came as a surprise to some, because one of the chairwomen for the event is the president's daughter-in-law Lara Trump.